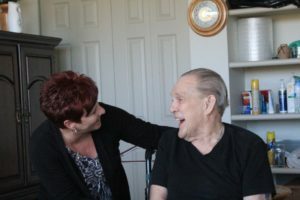 Driving Miss Daisy offers companion services to keep seniors and those with disabilities in good company while their loved ones are away. Are you caring for a family member or spouse and need a few hours away from home? We are happy to help free up your time and keep your loved ones safe and happy. Friendly, compassionate, and reliable one-on-one care services. A broad range of day-to-day activities. Help to maximize independence on a daily basis. Caring relationship building for genuine friendship. Carefully listening to a person’s needs on an individual basis. Driving Miss Daisy’s non-medical companionship and accompaniment services help with many day-to-day care activities. We provide services primarily to seniors and their families, as well as those living independently or in various supported environments. Whether our clients have family or friends close by or far away, we pride ourselves in supporting the whole family unit.